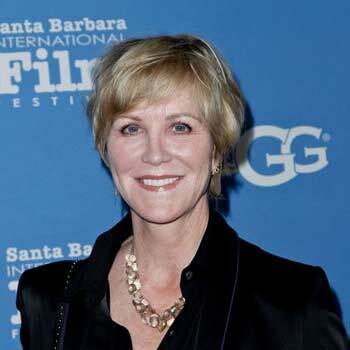 Director and Actor, Joanna Kerns well known for her performance as Maggie Seaver on the family situation comedy Growing Pains, and role of Annette in Girl Interrupted. She was born and raised in San Fransisco, California. She grew up in an athletic family and pursued gymnastics for a specific time. Her sister Donna de Varona, older than her, won two gold medals at the 1964 Olympics in swimming. Grew up with the passion of acting and dancing, her professional career began as guest appearances on Starsky and Hutch, Charlie's Angels, Laverne & Shirley, Three's Company and Hill Street Blues. Outside of acting and direction, she involves in politics. She is a registered Democrat, being the supporter of John Kerry in the 2004 United States Presidential Election and Hillary Clinton in the 2008 United States Presidential Election. As per the Celebrity Net Worth, she has a whopping net worth of $6 million. She married twice in her life. Currently, she is the wife of Los Angeles architect, Marc Appleton with whom, she married in 1994. Previously, she was the wife, Richard Kerns. Their relationship did not sustain long. They married in 1976 and the couple divorced in 1985. She has a daughter, Ashley Cooper from her previous marriage. Her starred tv series; Growing Pains has won several awards and nominations, Golden Globes USA, Primetime Emmy Awards, BMI & Film, and TV Awards, TV Land Awards, and Young Artists Awards. Any rumor and controversy have not affected her professional as well as personal life. 43 year old actress, singer and musician from America. She is better known for being the daughter the John Lee Bottom and Arlyn Sharon. She played along with the Will Smith in movie Hitch. An American actress, Michaela Conlin is famous for her appearances in the TV series like Law & Order and The Division. She has also appeared in the movies like Enchanted, The Lincoln Lawyer and many more. Better know for being the actress of the movie Jeepers Creepers 2 and Stranger. She had also appeared in several television dramas Cold Case and Criminal Minds. Nathalia Ramos is a Spanish actress and singer who played Yasmin in the Bratz film, and appeared in an episode of Nickelodeon's True Jackson, VP. In 2013, she played Jill in Gallows Hill.